Who will perform at Trump's inauguration? Donald Trump has promised to "drain the swamp" in Washington D.C.
America has 2.1 million civilian federal workers. It rose by nearly 130,000 people under President Obama, according to figures from the Office of Management and Budget and the Labor Department. 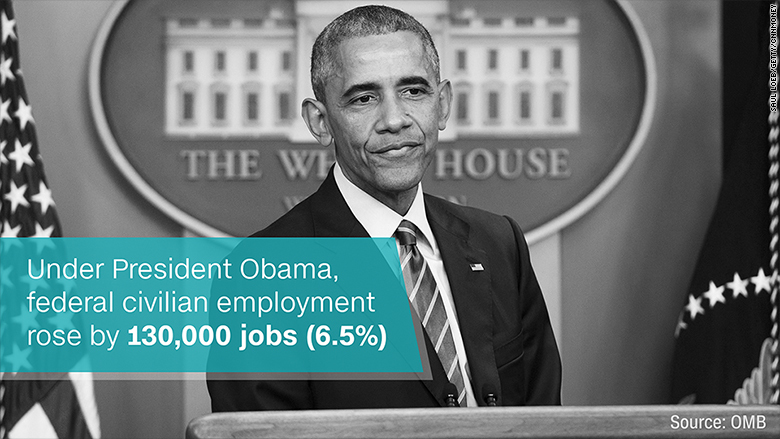 It's an increase, but a modest one of 6.5%. But here's the catch: There's been an explosion of contract workers. 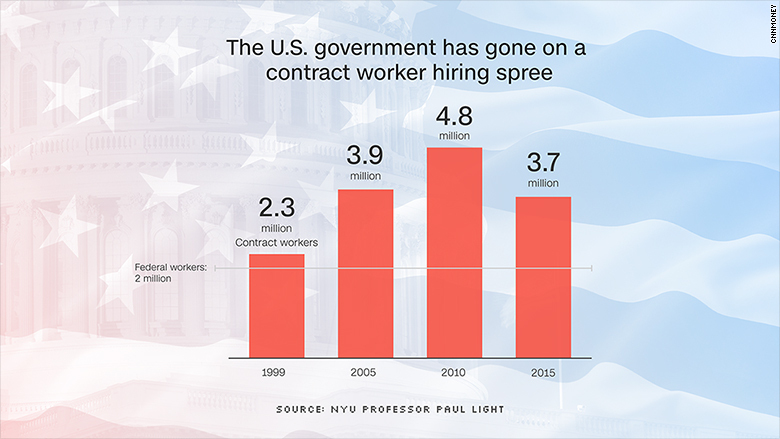 The number of contract workers employed by the U.S. government more than doubled from 1999 to 2010, according to calculations by Paul Light, a professor of public service at New York University and author of "The True Size of Government." Trump lists cutting the number of federal workers as his No. 2 priority on his 100-day action plan, known as the "Contract with the American Voter." But if Trump really wants to downsize, he would have to look at contract workers too. "We have all these people who work for the federal government under contracts and grants," says Light. Chris Edwards, the director of tax policy studies at Cato Institute and editor of www.DownsizingGovernment.org, has started referring to the contract worker boom as the rise of the "beltway bandits." Edwards says no one talks about the "beltway bandits" because there's no official government tally of how many contract workers there are. Professor Light is one of the few tracking it. His estimates are based on calculation of payments made to government contractors (which is publicly reported) and then making a calculation of what the headcount is. 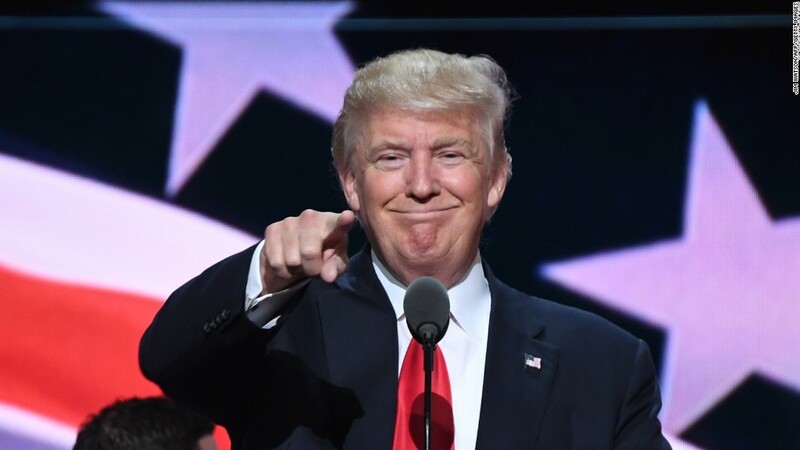 Trump's plan calls for "a hiring freeze on all federal employees to reduce the federal workforce through attrition (exempting military, public safety, and public health)." It says nothing about contract workers. Trump's hiring freeze is "a big symbolic push," says Light. Historically, any time there's a freeze on workers or pay, the U.S. government has quietly added more contractors. "Believe me, contractors are excited about whatever freeze Trump has," says Light. The expectation on Wall Street is that defense contractors will swell under Trump. Stocks of Raytheon (RTN) and Lockheed Martin (LMT)jumped after the election. "The single biggest bureaucracy in Washington is the Pentagon, both non uniform and civilian," says Edwards. "Trump and Republicans like to talk about downsizing bureaucracy, but are they willing to go after the Pentagon bureaucracy?" Since the election, the president-elect has criticized Boeing (BA) and Lockheed for charging the government too much for airplanes. But it's unclear how much more pressure his team will put on curbing defense costs. A lot of the decisions about the federal workforce may come down to what Rep. Mick Mulvaney thinks. Mulvaney is set to head up Trump's Office of Management and Budget. It's the department in charge of budgeting and keeping track of headcount. "The Trump administration will restore budgetary and fiscal sanity back in Washington," Mulvaney promised after he was nominated to serve in Trump's White House.